Pretty cool, but pretty crazy. Proper comment for this thread. Quick, somebody build a meteorite siren! the end was near when grim was borned. i didn't watch the whole video, but i heard them say some buildings had some damage, houses and cars had shattered glass but was there any serious damage? any fatalities? Here is where is landed. 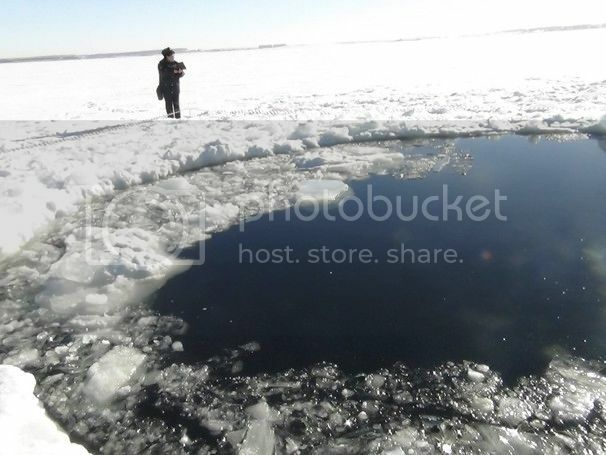 Found near Chebarkul, a town in Chelyabinsk region, in a icy lake. The Russian Academy of Sciences estimates that the meteor weighed about 10 tonnes and entered the Earth's atmosphere at a speed of at least 54,000 km/h (33,000mph). Last edited by Disturbed//*. ; 02-16-2013 at 12:11 PM. looks amazing but anyone die? What you guys think about Mother Russia?